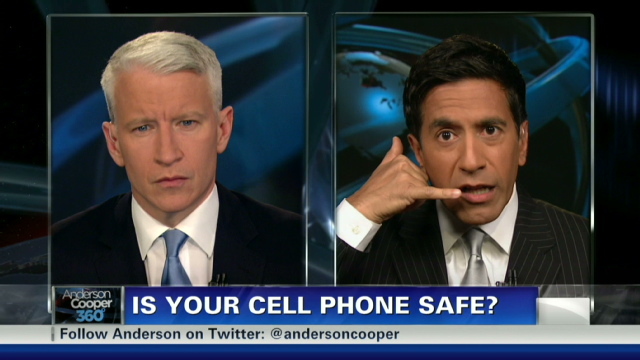 On the eve of the World Health Organization’s ruling on cell phone radiation safety, CNN chief medical correspondent Dr. Sanjay Gupta unveils his own investigation into cell phone safety on Anderson Cooper 360°. Dr. Gupta discusses safety recommendations from both manufacturers and the Federal Communications Commission for various devices, including Blackberry and iPhone. Anderson Cooper and Dr. Gupta also discuss suggested safety precautions people can take when in low signal areas and using Bluetooth technology, and why they both prefer wired headsets for smartphones. The WHO ruling is discussed further here.